Rabbi Boruch Adler is a talmid of Yeshiva Ch'san Sofer and Yeshiva and Mesivta Rabbi Chaim Berlin, where he was close to Admor HaRav HaGaon Yitzchok Hutner zt"l, and Maran HaRav HaGaon Avigdor Miller zt"l. He was also zocheh to enjoy a very close relationship with Maran HaRav HaGaon Moshe Bick zt"l, and the Debriciner Rav, Maran HaRav HaGaon Moshe Stern zt"l, under whose guidance Rabbi Adler authored the Sefer Hilchos Chatzitza. Rabbi Adler received his Smicha from Maran HaRav HaGaon Aaron Schechter shlita, and currently delivers a number of shiurim. He has just published a new sefer, called Foundations, which is currently available in bookstores. 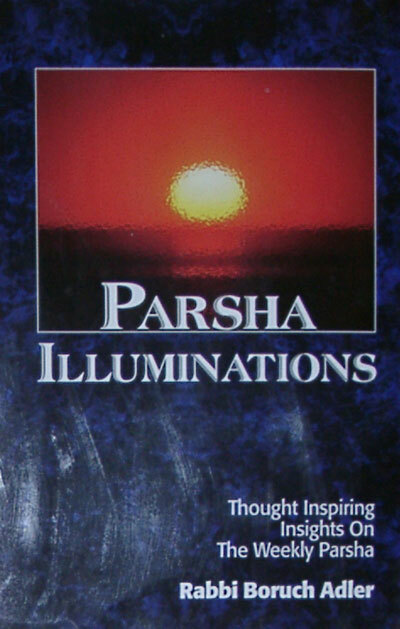 Foundations is a unique compilation of thoughts containing Aggadah, Halacha, Machshava, Hashkafa, history, and Kabbalah keyed to the weekly Parsha. Site built by CCS, Inc.